This recycled Large Spiral Notebook is a twist on the classic composition book used by school children. The paper is 100% recycled, and the ink is soy derived. The covers are 100% post consumer waste and bio-gas is the energy used in production. 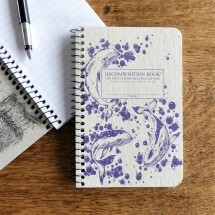 Decomposition Books are a small family run company that has designed a unique line of journals, notebooks, and sketchbooks for over half a century. Founded in 1949 by his great grandfather in Brooklyn, NY, Michael Roger strives to be eco-friendly, making many of their products with recycled, repurposed, and sustainable materials. 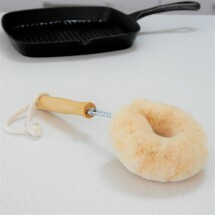 Ethically sourced homewares, gifts and accessories. 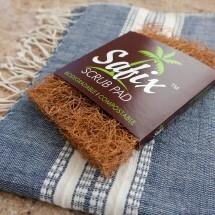 This product is dispatched to you by Etico. Would you like to change delivery destination? 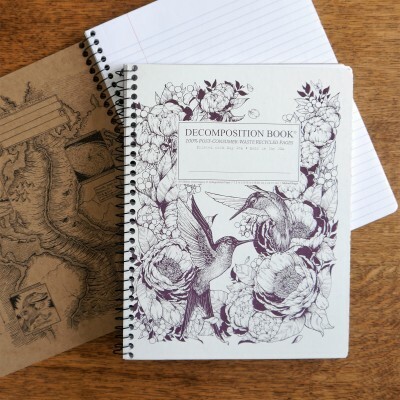 Decomposition strives to be eco-friendly, making many of their products with recycled, repurposed, and sustainable materials.